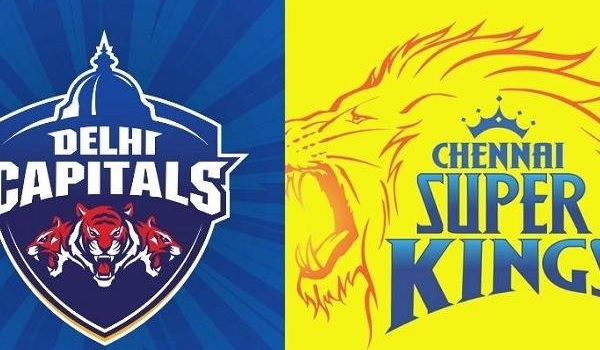 Chennai Super Kings Beat Delhi Capitals by 6 Wickets. Delhi Dare Devils Won the toss and elected to bat first. After Complete of 9th Over ( Jedeja ) DC were 55/1. 10 Runs came this over. 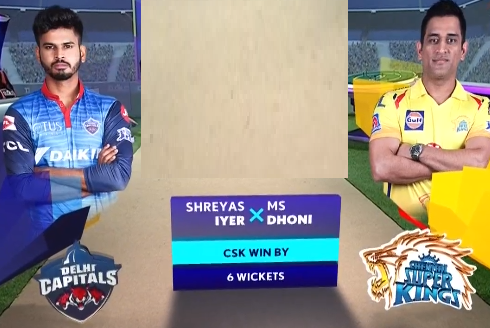 A huge Six by Shreyas. After Complete of 11th Over (Jedeja) 70/1. 5 runs came this over. back to back boundaries from shiker. One Four from Pant and Back to back Fours from Shiker Dhawan. One Six Came from Pant. Two Big wickets for Bravo. Pant and Ingram Out in the Over. 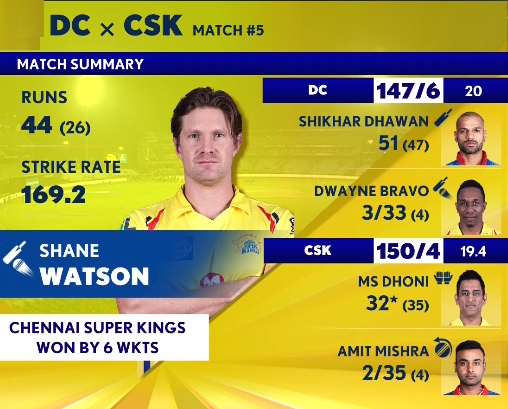 Two big sixes from Shane Watson. 50 Partnership completed for the 2nd Wicket. Shane Watson Out, Brillent Stump out by Rishab Pant. he Scored 44 in 26 balls. Suresh Raina out for Caught Behind. After 12th Over ( Paul ) 108/3 .